Albania, and in particular its capital, Tirana, is slowly becoming a tourist hot spot on the Balkans. 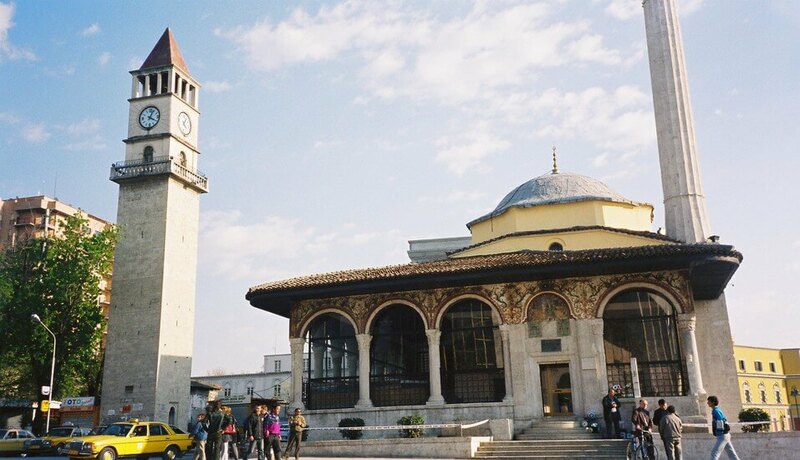 Tirana is less than 5 hours away from Skopje with the best fares from Skopje Taxi. Once you arrive, we’ve prepared a list of places to visit in Tirana. 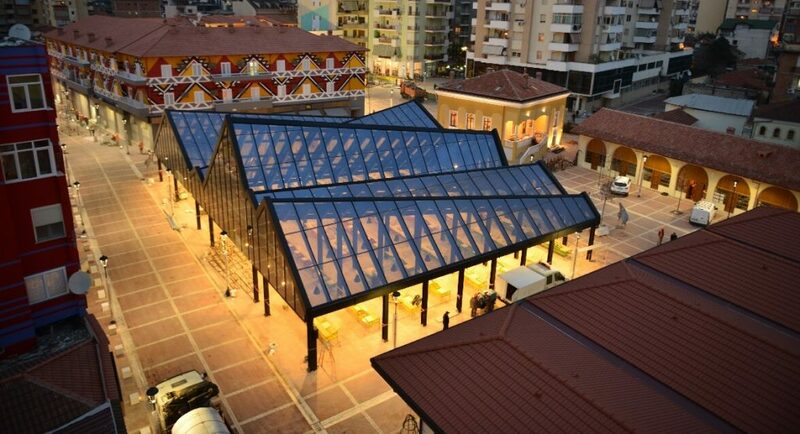 The main square, named after an Albanian national hero, is the heart of the city. A statue of Skanderbeg sits in the middle. 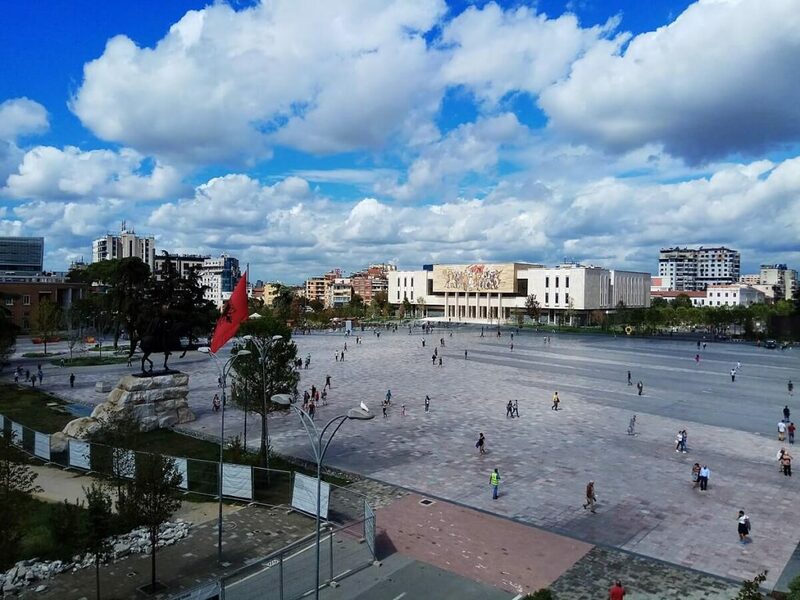 It’s the largest main plaza in the centre of Tirana and is home to many iconic buildings and points of interest. There’s the National Opera, the National History Museum, Palace of Culture, and the Et’hem Bey Mosque along the side. The National History Museum is the largest museum in Albania, with over 4,750 objects in its collection. The collection spreads from the Paleolithic era to the communist times. Before entering you will see a large mosaic on its front wall that illustrates the different eras in Albanian history. Albania has lots of beautiful mosques, and the most notable on in Tirana is Et’hem Bey Mosque. Et 19th century and while for nearly half a century Albanians weren’t allowed to practice religion, now Et’hem Bey Mosque is a symbol of religious freedom in Albania. 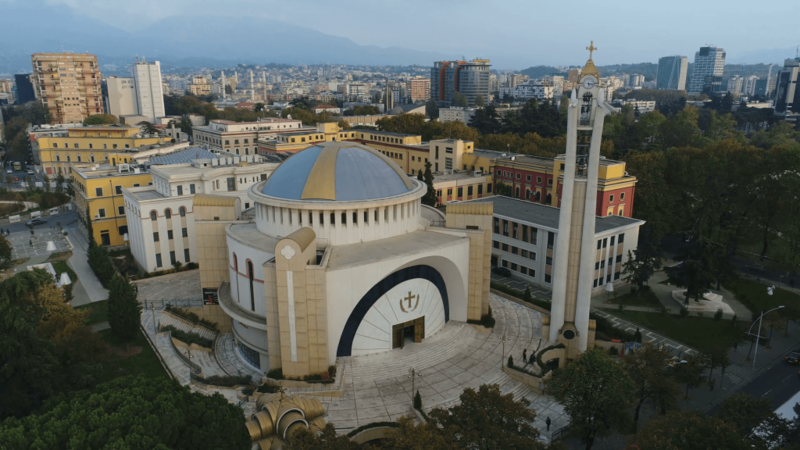 The Resurrection Cathedral is an Albanian Orthodox Autocephalous Church located close to Skanderbeg Square. The cathedral is relatively new and is the third largest Orthodox church in Europe. Its impressive exterior and interior are worth visiting if you’re in this part of town. 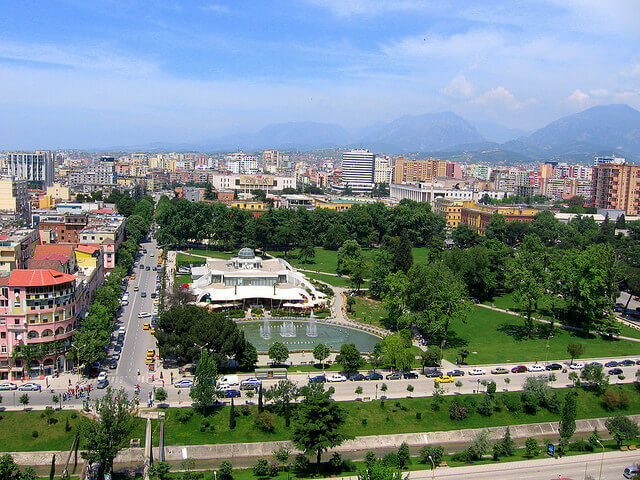 Rinia Park is the central public park of Tirana and covers an area of almost 30 hectares. It’s another area which was previously run-down and full of illegal buildings. But in 2000 Rinia Park was cleaned up and is now a lovely family park. In the park you will find the “I love Tirana” statue which is probably the most popular place to visit in Tirana for tourist. Rinia Park is close to Skanderbeg Square. 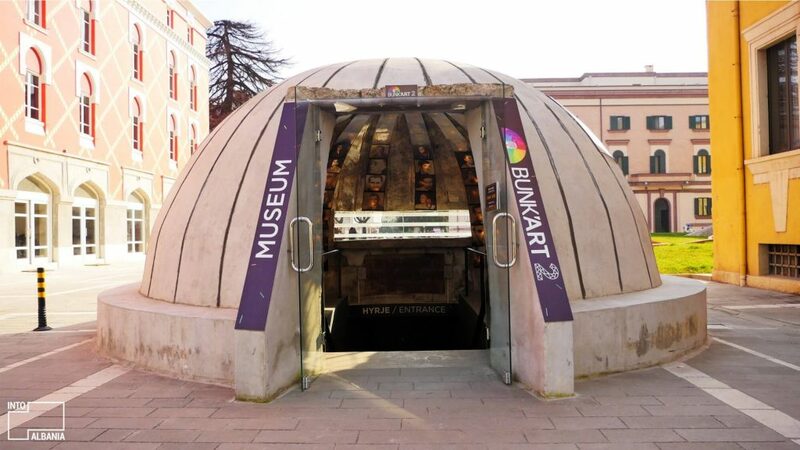 This is one of Tirana’s newest attractions and is one of the most exciting places to visit in Tirana. The Bazaar is located on Anvi Rustemi Square, less than a 10 minute walk from the centre in the oldest part of the city. You will find colorful facades and many restaurants and cafes surround the modern central market. Inside the bazaar you can buy anything from fresh fruit and vegetables to traditional Albanian goods. 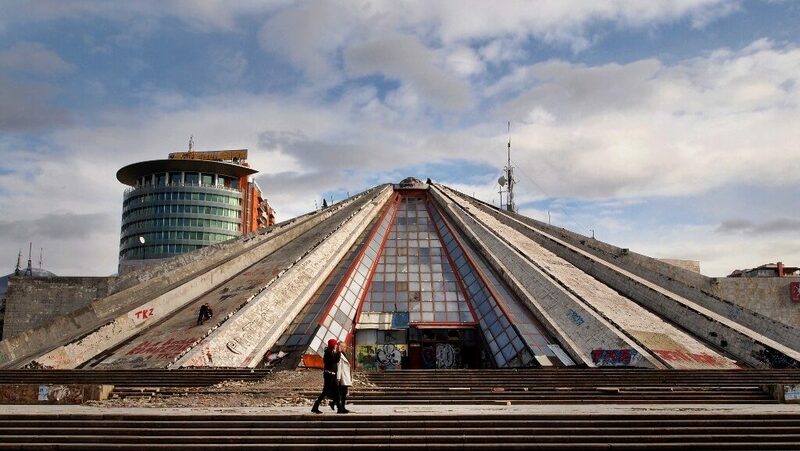 The iconic Pyramid of Tirana was originally built in 1988 to home a museum about the life of Enver Hoxha. Hoxha was the long-time leader of Communist Albania. The design for the Pyramid by the former leader’s daughter and son-in-law. After the fall of communism in 1991, the museum closed. It served as a conference centre and exhibition venue for several years, but in 2001 it closed completely. When visiting anywhere in Albania, it’s highly likely that you’ll come across bunkers. The small concrete bunkers that litter every inch of the country are little reminders of the country’s dark past. This was due to communist leader Enver Hohxa’s policy of “bunkerisation” that saw 750,000+ bunkers built all across Albania during the 1960s-80s to protect the isolated nation from a war that never came. Today, majority of the bunkers are left in ruins. However, a few of them are now museums, restaurants, bars and cafes. Bunk’art is the bigger of the two, located on the edge of the city. While Bunk’art 2 is slightly smaller, it’s centrally located for those with more limited time to explore. 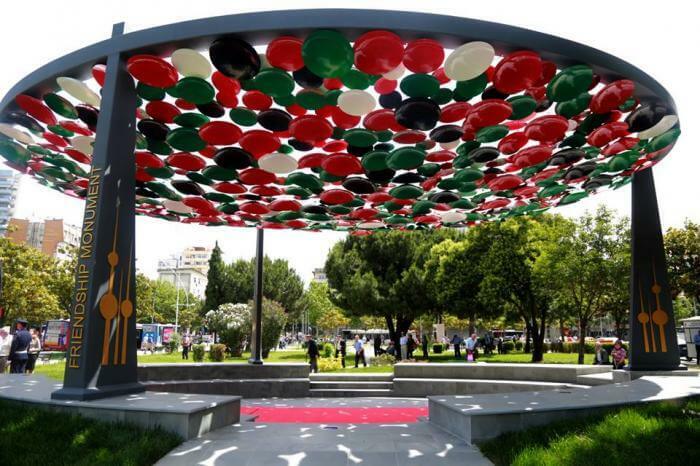 The Friendship Monument is a big and colorful structure Albania got as a gift from Kuwait to commemorate the eternal friendship and cooperation between the two countries. The colors of the roof match those of the Kuwaiti flag. The Friendship Monument is a place where you can spot true friendships and see traditional Albanian culture come to life. The Blloku (Albanian for “Block”) area is around 10 minutes from the city centre. 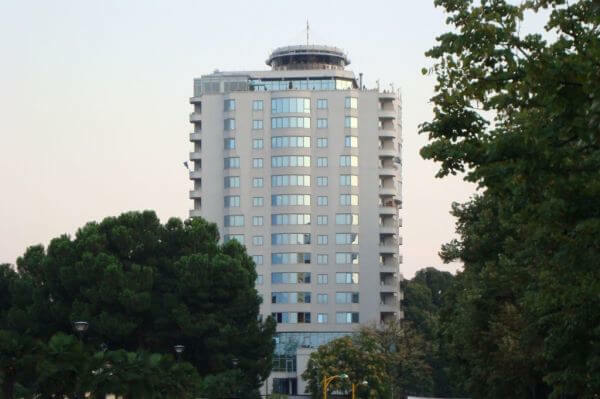 It has recently become the most vibrant and upmarket area of Tirana and one of the most popular tourist attractions. During the communist era, Blloku was a restricted residential area for the members of the executive committee of the communist party. However, after the fall of communism, plenty of new developments made Blloku into the popular place it is today. Blloku is also home to The Sky Tower and its 17th story SKY CLUB Panoramic Bar & Restaurant. Ride the lift to the top and sit outside for cocktails on a sunny day. Or head inside the restaurant for a panoramic view over a fancy dinner. The Dajti Mountain is located within the Mount Dajti National Park and easy to get to. 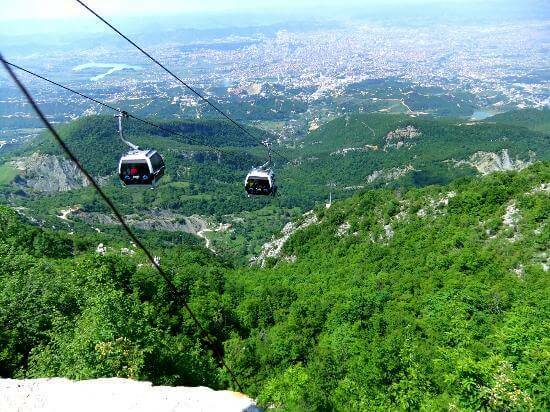 In 2005 the longest cable car in the Balkans was opened to connect the city with the mountain. The view from the top is incredible and you can even see the Mediterranean Sea from up there. 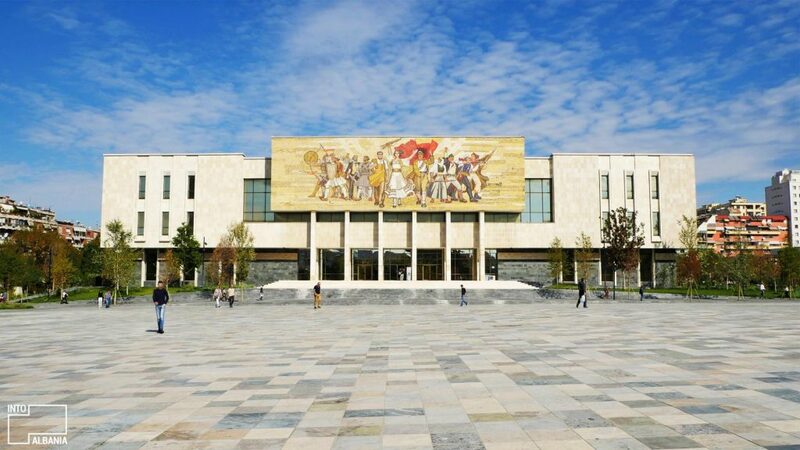 Hope you enjoy our list of 11 places to visit in Tirana and we wish you a pleasant stay!